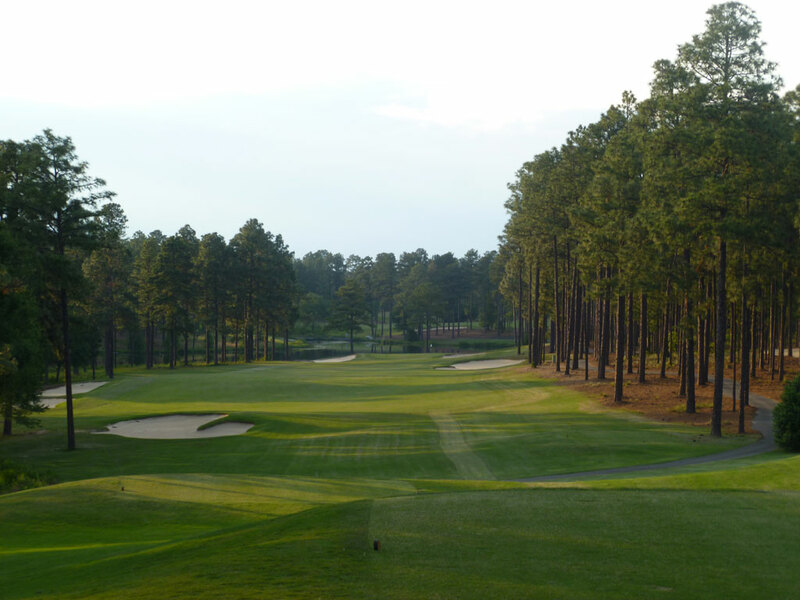 Course Website: Official Website - Visit Forest Creek Golf Club (South)'s official website by clicking on the link provided. 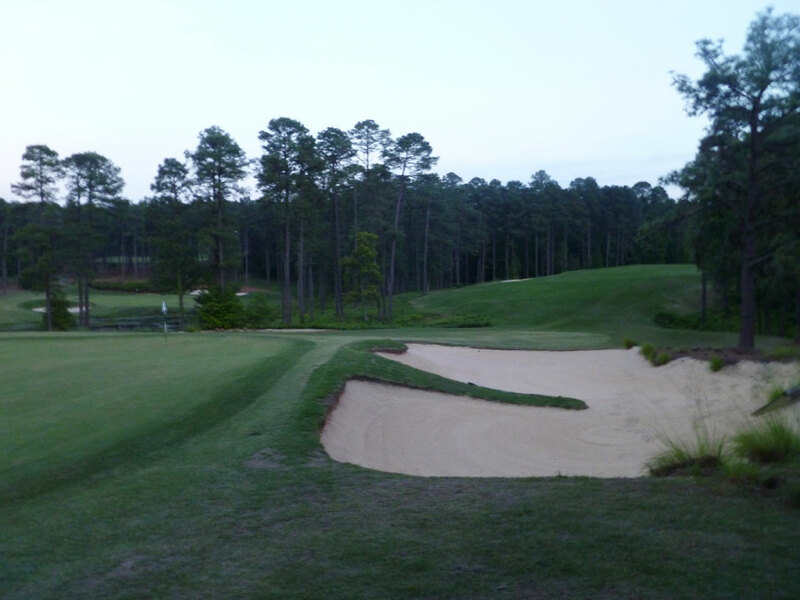 Accolades: Ranked 11th in North Carolina on Golf Course Gurus' Best in State list. What to Expect: Forest Creek is a 36 hole residential development complex that features Tom Fazio’s work. 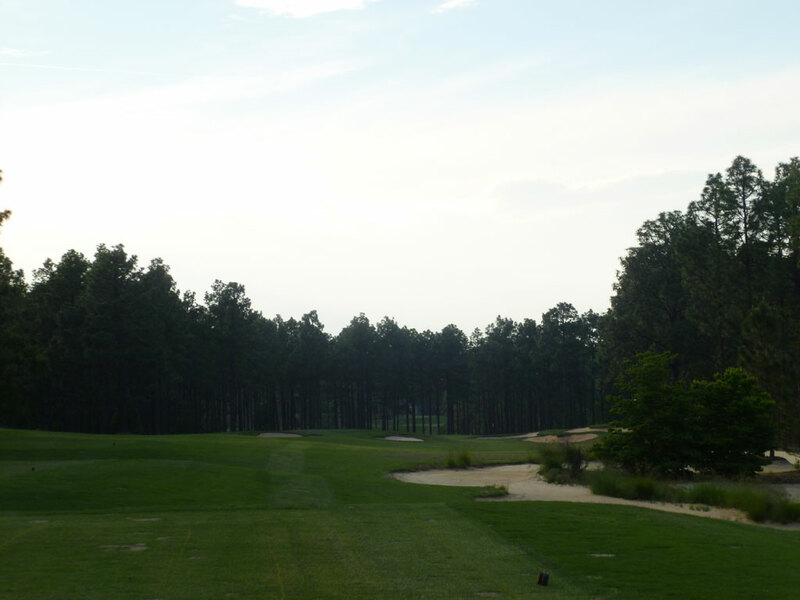 The courses were installed six years apart, one named North and the other South. 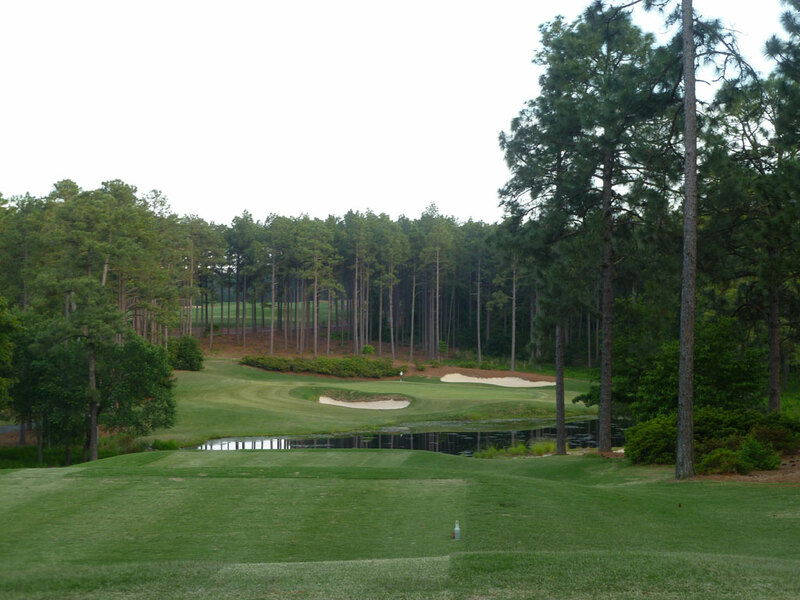 The newer North course has enjoyed more accolades and the Gurus concur with the North’s superiority. Conditioning at Forest Creek is top notch with the North track displaying exceptional turf conditions and beautifully rolling greens. 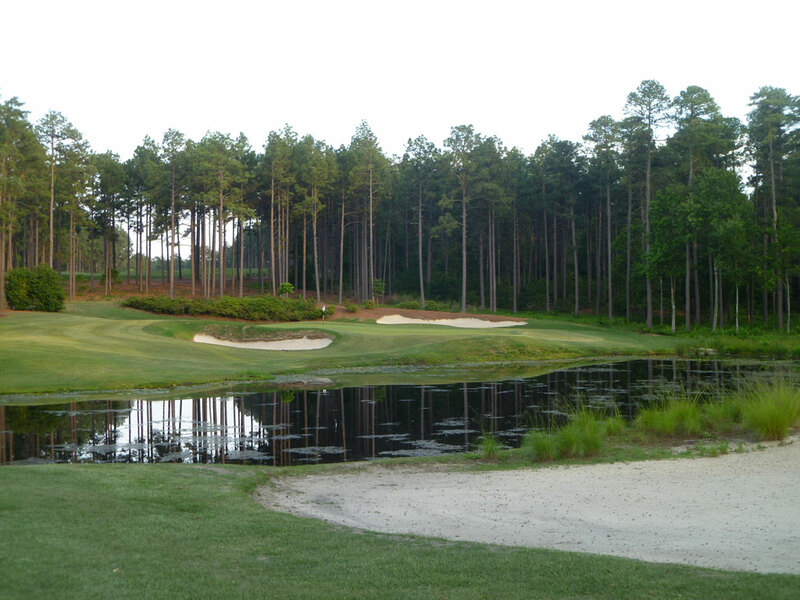 Gently moving ground provides ideal golf course terrain while the lake on the back nine of the North course provides a beautiful feature in which three holes play around. 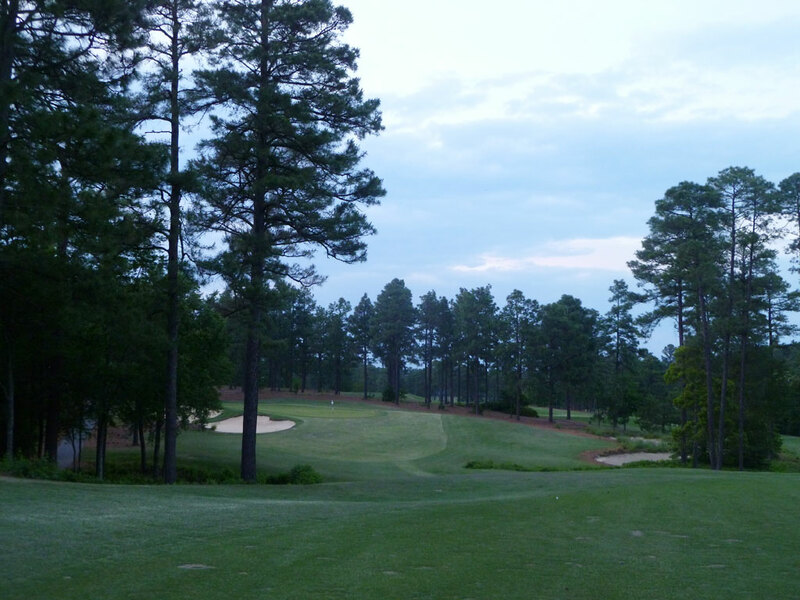 Trees line all the fairways and provide a comfortable seclusion hole to hole. The South course provides some water features near the clubhouse that come into play on the downhill finishing holes of each nine. The South course also boasts a “hog hole” where bets can be settled as players tee it up on a par three over a large pond. 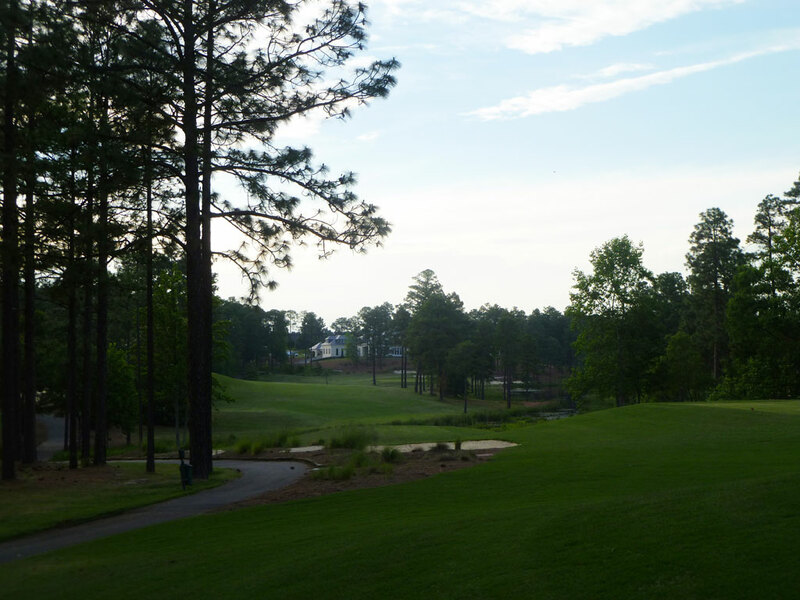 All in all, Forest Creek is a first class facility that features solid hole after solid hole all day long. 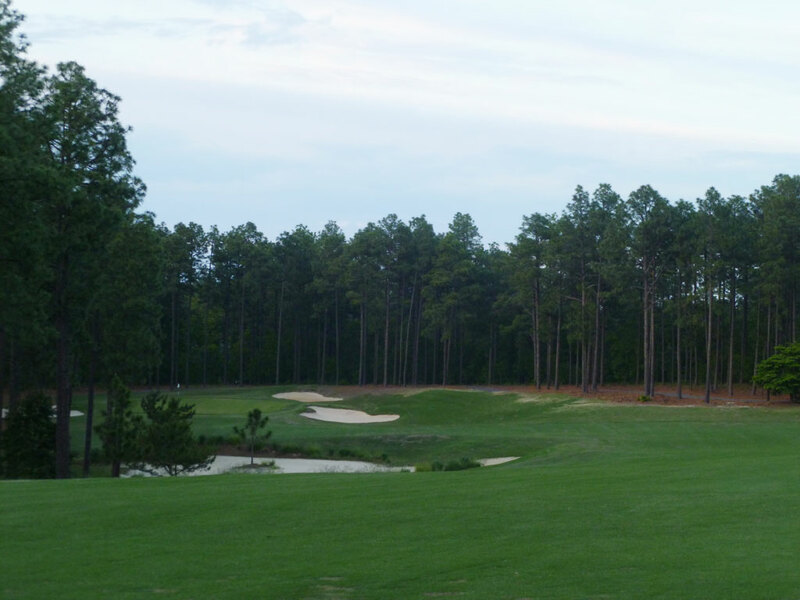 The North course is rather underrated and makes an argument as the elite course of the Sandhills and one of North Carolina’s finest.